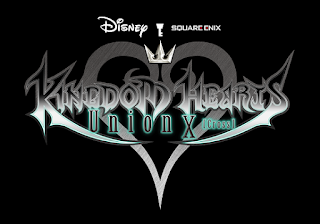 Fans will soon be able to learn more about the KINGDOM HEARTS history with the upcoming release of KINGDOM HEARTS Union χ[Cross], the relaunch of the critically acclaimed mobile RPG formerly known as KINGDOM HEARTS Unchained χ. As part of the free update next month, the game will soon have a new “Union Cross” multiplayer mode and more ways to customize the player’s avatar. With KINGDOM HEARTS Union χ[Cross], players can create teams of six from their party members or through a matchmaking feature to fight hordes of Heartless enemies and powerful bosses. Players can also take on quests of increasing difficulty as well as unique new missions. To help these teams of friends communicate with each other, the game will now include emotes and text bubbles. Players will encounter both familiar and new faces as the story of the Unions continues to unfold, and the new “Theater Mode” will allow players to relive the drama and rewatch cutscenes. KINGDOM HEARTS is a series of role-playing games created through the collaboration of Disney Interactive and Square Enix. Since the first KINGDOM HEARTS was released in March 2002 for the PlayStation®2 computer entertainment system, the series has expanded with several additional entries. The series will be celebrating its 15th anniversary in March 2017, and has shipped over 22 million units worldwide.